This piece is part of an ongoing series tracking connections between Russia and the American religious right. You can read the first entry in this series here. 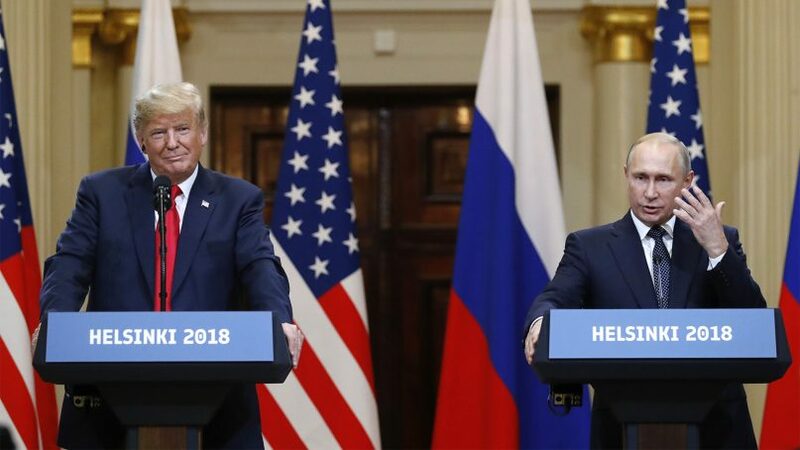 (RNS) — When President Trump stood beside Russian President Vladimir Putin in Helsinki last month and said, “I don’t see any reason why it would be” Russia who attempted to influence the 2016 election, the subsequent firestorm of criticism included liberals as well as prominent Republicans. There are good reasons why some Christian right leaders are less than eager to address Trump’s attempts to warm relations between the U.S. and Russia. For years, American evangelicals have cultivated ties with Russia, highlighted by a 2015 meeting between Franklin Graham, son of the late Billy Graham, and Putin in Russia. But it was hardly the only religious connection said to be targeted by Russian actors. 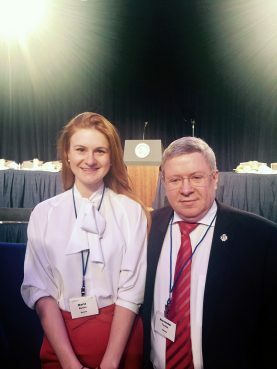 Among Butina’s contacts was a Russian politician named Alexander Torshin, and together the pair allegedly attempted to broker a meeting between Trump and Putin before the 2016 U.S. presidential election. 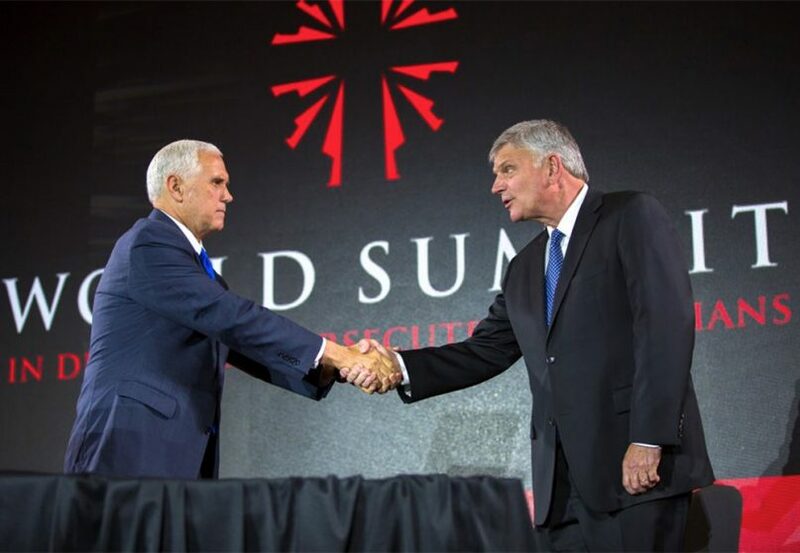 The meeting never happened, but its proposed site was a “World Summit in Defense of Persecuted Christians” in Moscow, organized by Franklin Graham. Relationships between Russians and American evangelicals extend back more than three decades to Billy Graham’s well-publicized visit to Russia in the mid-1980s. The World Congress of Families, a largely evangelical Christian group based in Illinois, was the brainchild of an American historian and a Russian Orthodox mystic, who met in Moscow in 1995, according to Mother Jones. Russia’s record on religious freedom, especially when it comes to evangelical Christians, remains suspect: The 2017 International Religious Freedom Report, issued by the State Department, listed multiple infringements on religious expression in the region, including scrutinizing the activities of evangelical Christian Russians. The Russian president’s affection for the Orthodox church itself is relatively recent, said Kristina Stoeckl, an expert on the Russian Orthodox Church who teaches at Austria’s University of Innsbruck. But by the time Trump was inaugurated in 2017, the Kremlin had become what Politico described as “the leader of the global Christian Right,” largely based on an alliance with Russian Orthodox Church Patriarch Kirill — who has been accused of being a former agent of the KGB, or the main security agency of the Soviet Union — in an effort to deploy religion to exert spiritual and possibly political influence across Europe. Graham’s public relationship with Trump dates back to at least 2011, when he told ABC News, “The more you listen to (Trump), the more you say to yourself, ‘You know, maybe the guy’s right.’” The following year, Trump’s foundation reportedly gave the organization named for Franklin Graham’s father, the Billy Graham Evangelistic Association, a $100,000 check in 2012, while Samaritan’s Purse, a Christian relief group also run by Franklin Graham, received $25,000 the same year and $10,000 in 2013. Meanwhile, Putin’s ideological influence over parts of the American religious right dates back to at least 2014. In March of that year, Putin was featured on the cover of Decision Magazine, a publication of the BGEA, in an issue that included an opinion article by Franklin Graham that offered cautious praise for the Russian president. The evangelical leader pointed to Putin’s decision to sign a law barring the dissemination of “propaganda of nontraditional sexual relations” to children. Eight months later, Metropolitan Hilarion Alfeyev, a Russian Orthodox Church official, visited the United States and met with Graham and his father to celebrate the elder evangelist’s 96th birthday in Montreat, N.C. 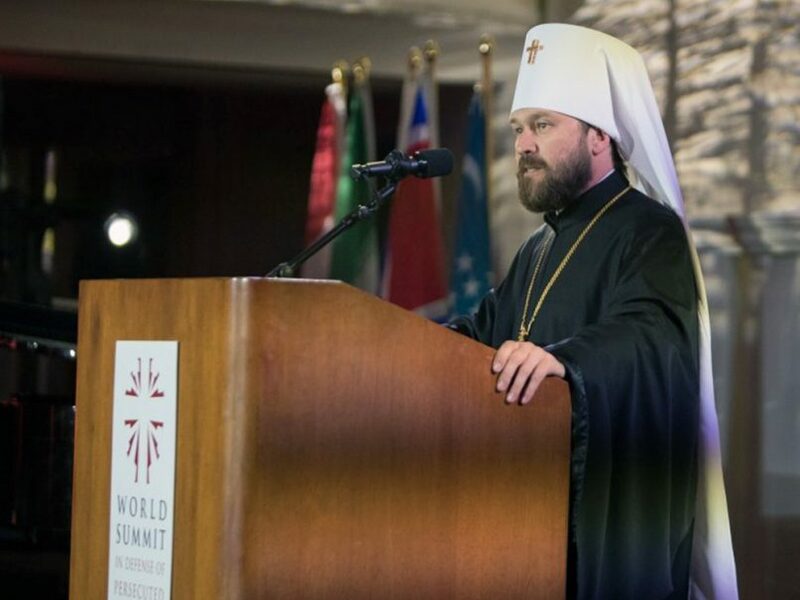 In 2014, after meeting with Billy Graham in Montreat, Metropolitan Hilarion traveled to Charlotte, N.C., to the Billy Graham Evangelistic Association headquarters for a summit of Russian faith leaders and U.S. evangelical Christian leaders. Few of those at the meeting would comment on it, but the Rev. Richard Gibbons, pastor at First Presbyterian Church in Greenville, S.C., cited the BGEA’s long history of forging alliances with Christians in other parts of the world. “The idea was, ‘How do we build bridges with the church in Russia to continue (Billy) Graham’s work there?’” Gibbons said. But Don Fairbairn, academic dean of academics at Gordon-Conwell Theological Seminary, said he was “not particularly happy” with the “strongly pro-Russian stance” of the gathering. “I cannot really say what the purpose of the event in Charlotte at BGEA headquarters actually was,” he said in an email, noting that he almost canceled his own planned speech to the group. According to Christianity Today, Hilarion and other Russian faith leaders then went on to meet in Washington with State Department officials, visit the U.S. Capitol, and gather at the offices of the National Association of Evangelicals. Graham told CT the effort was meant to “build bridges” between the U.S., Russia and Eastern Europe as the crisis raged in the Crimean peninsula. Later rescheduled for May 2017 in Washington, the summit was attended by a large Russian delegation. Vice President Mike Pence addressed the gathering, and met with Hilarion backstage alongside “other religious leaders,” according to Time magazine. 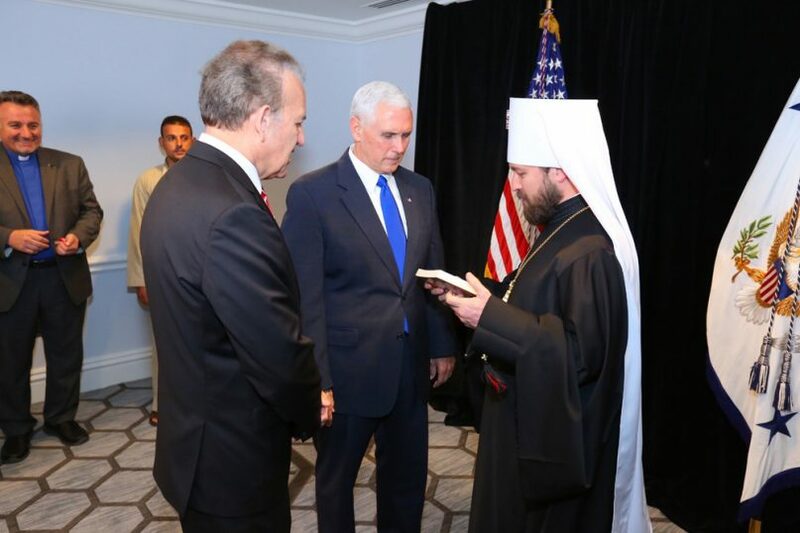 Hilarion did not specifically say what the two discussed besides terrorism, noting, according to Time, that “It is only one united, international anti-terrorist coalition which can combat terrorism and win.” He also reportedly presented Pence with a book about Kirill. So there it is in a nutshell: Franklin Graham forgives Putin for being a cold-blooded murderer who has his political opponents routinely snuffed out, silencing any and all opposition. Clearly for Graham, having someone who “defends the traditional family” is so important that supporting a known murderer who has also stolen an estimated $200 billion from his own people is worth the price. Once again, Franklin Graham and his evangelical ilk demonstrate everything that is wrong with Christianity today. But there’s even more to the Russia / Evangelical connection that remains largely unspoken and unaddressed: race. It’s well known that Putin, like Trump and Adolf Hitler, believes in a white master race free from racial “taint.” That rarely gets mentioned because it’s rarely discussed out in the open. It’s one of those things which, like income inequality, is best left to “quiet rooms,” according to Mitt Romney. But that doesn’t mean there’s no there there. There is, and it’s insidious. 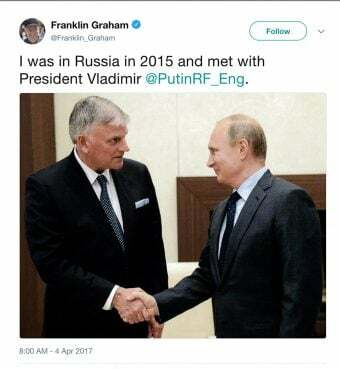 Franklin Graham… trips to Russia. Junior meets with Russians, or didn’t meet with Russians, or did. That Russia is world power like England, France, Germany, and Canada? A timely reminder of what Russia really is. It’s nothing like what the Trump Evangelicals believe. Start with 480 abortions per 1,000 live births. Graham et al should take refuge in the defense of naivety as the least damaging explanation of their cozying up to a autocrat and church which recently decriminalized some forms of wife beating. Having trouble seeing the difference between democratic allies and authoritarian adversaries? A religious leader has an obligation to spread the word of the gospel even to murderers and convert lost souls. Since the Soviet Union collapsed they are thirsty for religious direction and Graham seizes the opportunity to plant a seed in the name of Christianity. Another Bigoted Racist 3 piece suit Blue Eyes American Ayatolah just like his daddy resting in hell. They do have religious direction, in the form of the Russian Orthodox Church, which seems to have considerable power; in essence, a state church. 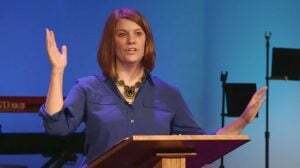 Now, if Franklin Graham and the others can raise objections to persecution of Evangelicals, they might have a better chance of planting their seeds. I wanna go to Russia too! True but as we know the interpretation of the Orthodox Church is engaged in more pagentry and also worship of Saints alot like the Catholic Church. He appears to have said that Putin is right on the LBGT stuff, not that he forgives him for being a cold-blooded murderer, or event that he acknowledges it. $2.5 million from uranium one; a uranium mining company that has ties to Russia. Other donors: Qatar, Kuwait, Oman, Indonesia, UAE, Bahrain. It’s interesting that the donations to the Clinton foundation fell off a cliff as soon as the world found out that she lost the election; seemingly implying that the countries that donated expected to receive benefits from the newly elected president in exchange for their generous donations. We are going to find out soon that she, Obama and the fbi are thick as thieves when it comes to Russia. Only idiots believe that Catholics or Orthodox ‘worship’ saints. So-called ‘evangelicals’ shower more heathen adoration and pagan devotion on Trump than Catholics or Orthodox have ever given to the saints or the Blessed Mother. Graham has no idea what genuine Christianity is; he’s a massive step backwards from even the rudimentary knowledge his father had on the subject. Graham can believe that, but there’s still the matter of the Pentecostal and other Protestant sects in Russia, and the state, on behalf of the state church, is pressing them down. Getting the trappings of state power is what the Orthodox prelates apparently wanted, and it would be well for Protestant leaders to denounce that, not just hobnob. Putin discovered that anti-gay is the secret sauce to making church people march right over any political cliff. He may have learned that from Billy and Franklin Graham. (I prefer to think that Billy meant well, and Franklin was always a snake, but that’s another story). Meanwhile, Trump has discovered the same. You young ones had better outvote this stuff soon. Both your church and your country is in deep trouble. What about us oldsters? We only have so long to live in and experience the negative direction America is turning. But, youngsters? Look out, kids. Church betrayed every sensible thing you ever heard of. Fix it or vote it out of civic control. It’s the only choice you have. Your link is certainly “an inconvenient truth”, as Big Al would say! So, brother Jack Jenkins, you don’t wanna “warm relations between the U.S. and Russia”? What are you, a warmonger, a warhawk, a neocon, a cold warrior or someone even more sinister than that? And why are you bashing on the “Russian Orthodox Church” all of a sudden? Oh I know, you’re really getting desperate, innit. Bond. James Bond. At your service, JJ. “3 piece suit”? But ain’t that outta style now? Just as is this mouthing-off of yours, spitting everywhere. Clean that up on your way out. Like, out out. “The gay-lesbian agenda”? What’s that? What are you Bible tumbling talking about? Jenkins has a severe case of good old fashioned Russophobia, secondary to his primary diagnosis of Trump Derangement Syndrome. Seems to be a lot of it going around there days. Yes, I laughed out loud at that line! Thank you for that great example of the “waddabout” fallacy. Go there, and stay there. Yeah, I know. That’s all I hear from guys like you and the rest of the socialists here now that trump is president; a lot of shock, surprise and outrage. Check my facts, no fallacy there; just a lot of potential favors that will never be collected on. I’m saying that statues of saints are in these churches and you kneel when you enter these places of worship and do your cross and touch them and light candles before these saints and show respect to them as well as God. It is not my intention to disrespect them but point out differences amongst churches such as that of the Evangelicals house worship which do not have such statues. Once you folks on the right conjure up a conspiracy you never let it go, even when presented with overwhelming evidence to the contrary. The only ones who will listen to your rubbish are others who are as fact-averse as you are. I just don’t understand why people like you on the right continue to post about things that have been debunked repeatedly, and insist that it is the gospel truth. That is an especially disturbing behavior when I am almost certain that many of you know better, but believe that others are too dumb to know you’re lying. It’s “teh gays” that explains the Evangelical’s buddying-up with Russia. The Evangelicals helped write Russia’s anti-gay law. Franklin Graham is casting about for a nation that will really go after gay people, round them up, and exterminate them. He’s looking one country to start a mass genocide campaign against gay people to show other countries how to do it. The world-wide mass genocide of all known or suspected gay people is one of the two fondest dreams of Evangelicals. The other is a world-wide ban on all abortions. It is difficult for Westerners to enter the Russian mind, which is more Oriental than Occidental. Except for the aberration of the Soviets, there is essentially no Russian distinction between state and church. Moscow is the new Constantinople, the heir to the Defender of Orthodoxy, and the bulwark against both Islam on side and Western Christianity – especially Protestants – on the other. The notion of “separation of church and state” has zero currency in Russian thinking. Jeffrey’s point is that the statement “and also worship of Saints alot like the Catholic Church” is totally inaccurate. Orthodox and Catholics worship the Triune God, and God alone. Actually his “anti-gay” stems from 3,000 years of Judeo-Christian belief. We’re hearing a lot from your side of the politics about the so-called “waddabout” fallacy as Pelosi, Schumer, et al make Federal cases out of what the Democrats have been doing for a half a century. Comparing and contrasting demands for scalps for simply talking to Russians while your favored daughters and sons do whatever they want is the thrust of the argument, and there is no “waddabout” fallacy. Once you folks on the Left conjure up a conspiracy, you never let it go, even when presented with overwhelming evidence to the contrary. Wow, what an original comment. How do you do it? I guess you’re just a deep thinker, that must be it. That was pretty much my impression of your comment, so I figured one bad turn deserves another. And just not a good journalist, either, if you’ve been reading his smear campaign vs Falwell & Graham. “Bible tumbling[ly]”. You flunked Adverbs 101 in Singapore or what. Gossipy & tabloidesque, innit. Well, all the good writers have left RNS, that’s to be expected. Bottom line Putin, Graham and Pence are all against democracy and want to install dictatorships of various stripes, primarily theocracies. Please explain what has been debunked so that I can understand. Please be specific. “Russia’s record on religious freedom, especially when it comes to evangelical Christians, remains suspect.” It’s not just evangelical Christians who lack religious freedom. Russia is notoriously and historically anti-Semitic and anti-Muslim. This is important, unless the RNS definition of “religious freedom” applies only to Christians. Of course and I said that. The fact is practices are different but the goal is the same. Evangelicals don’t have all the murals,statues that you see in what I described. They just preach the gospel and that is my point. Russia has almost one abortion for every two live births—480/1000—something evidently overlooked by the Trumpvangelicals when cozying up to Putin. Deflector shields are at maximum. It’s 2018, nobody needs to care about people long out of the political limelight for over two years when the subject is current events. Especially when it’s all debunked nonsense, rumor and flat our fictions. Whataboutism is the tactic of dishonest scumbags. What you are telling me is you have no problems with Russian infiltration of our political process and its links to Evangelical Christians. Treason is OK with you. No facts were given. Merely long debunked rumors and fiction you bring up to deflect from the traitorous activity of our president and conservative supporters. It’s fitting, since whataboutism was created by Soviets. Since none of it is relevant to this article, nobody needs to care what rumors and fictions you wish to say to deflect from the subject. All of it is garbage. If there was any substance to it, the GOP led Congress would have been able to use it and hold hearings/trials on the matters. Two years after Clinton’s exit from politics and still nothing means you are full of crap. Only dishonest scumbags feel the need to resort to whataboutism to derail discussions. I am taking up the collection. Have fun, traitorous worm. LOL! Bob is notorious for both bile and lying. I have him blocked and I already know it was garbage. Fallwell and Graham smear themselves. All one needs to do is quote them to attack their reputation. Hmmmm…. so you can’t answer my question either. This is rich coming from the guy that changes the subject in many conversations so as to avoid an honest response that would compromise his his position. How much for a one way ticket? Whatever it is, it’s worth it. Please address the comments noted in the thread. It’s not relevant to the article. The answer is obviously none of it was substantiated. Hence the lack of actions by a GOP led Congress to go after them over it. I don’t have to pretend your rumors need to he taken at face value. Merely deflection on your part. Tacit approval of Russian infiltration of the American right wing. Making you a traitorous swine. Neither Franklin Graham nor the Russians have ever been friends of religious liberty. If it were not for his famous daddy, Franklin would probably be flipping burgers in a McDonald’s somewhere. And the photo of Graham and Pence together — aaaarrrrcgh! — what a pair of phony Christians. Yes but the Orthodox and Roman Churches pray to their designated saints for intercession on behalf of people or events. That is a kind of worship. There is nothing in the Bible that indicates a dead person can hear the prayers of the living or intercede on behalf of the living with God. Pictures, Icons or statues are OK as depictions of the dead and biblical event as a reminder of the lives and events that occurred. But, a saint is a Christian either dead or alive. That is all a saint is and nothing more or less. Your posts are garbage meant to derail a discussion on irrelevancies. Face it Sparky, if any of your garbage could be substantiated then the GOP would have acted on it years ago. They didn’t. It speaks for itself. You don’t get to pretend debunked rumors and fiction are suddenly true after the fact. You are deflecting in order to support Russian infiltration and appropriation of the American Right Wing. That makes you a traitor. It has nuclear weapons, but after that it is not the economic power that China, England, France or Germany has. What resources produce money is devoted to military spending. As far as economic position, it has some raw materials with an economy that makes it a middle income country at best. We and our allies stop using foreign oil and gas and Russia has very little to offer, but brute force. Another reason to practice energy conservation even for Trumpeters. Just wondering if you HAD problems with links to Saudi Arabia, Oman, Qatar, Indonesia, Kuwait, etc. and Russia via uranium one. I’m wondering why the libs are so concerned with Russia now that trump is president. Democrats wanted to make nice with Russia if I recall correctly; they called Lindsey Graham and John McCain and the neo-cons war mongers. Democrats didn’t care when Hillary called for the Russian reset or when Obama told Medvedev to wait until after the election to have more flexibility to give up the US’s missive defense. 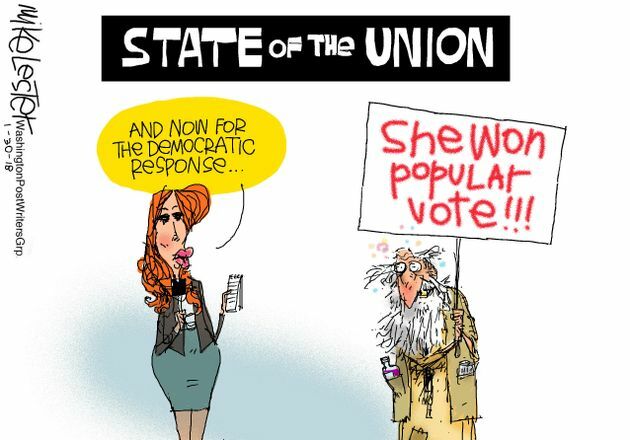 The only reason why Russia is such an issue is because the socialists in the democrat party needs something to blame because their crappy candidate lost. You sir, are the hypocrite. As I have said before, actions speak louder than words. The United States (under trump) is slowly building air bases, missle defense sites and propositioning troops and supplies in Scandinavian and Eastern European counties to counter the Russians. Something Obama didn’t have the courage to do when they annexed part of Ukraine. If it’s one thing I learned about democrats – it’s that they often accuse you of things they are already doing. Graham isn’t even concerned about his own flock. Evangelicals face intense persecution; the Orthodox Church had laws passed to protect its “turf” and prevent people from converting. American Christian conservatives are charlatans who care more about persecuting the gheys and fleecing people than protecting religious freedom, even religious freedom for their own brethren. They are more than willing to play patty-cakes with strong men bishops who promote the type of smells and bells Christianity they supposedly disagree with to do so all while throwing Russian Protestants under the bus. Don’t have to care anymore one way or another. We are not talking about people who are relevant to the current situation. You losers missed any chance for anyone else to care as well. You are merely deflecting in support of the traitorous actions of our right wing to conspire with Russia and undermine our democratic system. You are Unamerican and lower than dirt for doing so. Yep. That’s what I figured….. Evade, distract, ignore, name call…. If it didn’t matter then, WHY DO YOU CARE NOW??? The Russian connection will come out as soon as the fbi stops obstructing. Be patient my friend. She will be behind bars soon enough. Bullcrap. If there was something to be found, it would have turned up while it was relevant to those in power. You are giving a cheap excuse for having nothing to support your traitorous nonsense deflection effort. You are admitting right now that you have no evidence behind your claims. Evidently there is even less there than the numerous go nowhere hearings the GOP dragged Hillary in front of during her tenure as Secretary of State. You’re done. You have nothing. Nobody has to give a crap about the irrelevancies you are spouting. collaboration with Russian spies. Added to that Conservative Christians playing along for their own benefit. What you figured is that nobody had to take your unsubstantiated rumor and pretend its relevant to the discussion. The only one deflecting, evading and ignoring is the one who doesn’t want to discuss the news article as given. You. The name calling is justified. Someone who makes excuses and runs cover for the foreign infiltration and usurpation of the democratic process is of low character and traitorous. You have done nothing to show why such labels don’t apply to you. You are clearly acting against the interests of our nation in defense of a foreign dictatorship. “Traitorous worm” is a mild understatement for people who do such things. Jenkins should study something called the confirmation bias. His reporting and writing would improve. Right now his writing resembles an after this because of this psychology study. Dude- every report that is released by the IG or the congressional investigation reveals a bit more of the illegal, traitorous activities of some at the fbi. They already fired some of them and are looking for more. The links will lead back to the Clinton campaign and the Obama White House. That being said, the slow walk of documents released to congress will be successful should the house become blue in November. Then all of this goes away. There is evil lurking within our government… both foreign and domestic. Why do you care now??? Equality before the law and an end to legalized, institutional discrimination. And to destroymarriage, make everyone bow down to Big Gay Goliath, force the baking of cakes, make everyone get gay married, outlAw Christianity, outlaw Judaism, outlAw Islam, destroy western coloration, and make everyone wear tiny thong swimsuits and white BEFORE Labor Day. Always love reading the comments below. Religion News Service probably should just publish their articles and eliminate the comments section. You always see the same extremist folks from the left and the right posting. I always get a laugh at how they descend into a quintessential food fight. It would have mattered before if you had a time machine and were speaking to me of those in power and relevance. But it isn’t. So you are too late for anyone to care about your unsubstantiated rumors now. All you are doing is deflecting. BTW you are telling me with your argument, you approve of the infiltration of the right wing by Russia. That makes you a treasonous worm by nature. Dude you missed your chance for relevance there. Now it’s too late. You had nothing back then, you have even less now. You already admitted to be full of crap here. Blaming the FBI for the lack of facts to support your claim. All you are doing is deflecting I’m service of Russia’s infiltration of the American right wing. By the nature of your argument you approve of it. Making you a traitorous worm. Because there’s SO MUCH religious liberty in Russia…oh wait. Even the Orthodox Church? I would have guessed Trump was one to hatch with the Graham family, and their additional ace scholars. But Hilarion, too? That’s no optic, orphans! You write a lot but really don’t say a lot. You talk about unsubstantiated rumors, but can’t refute what I have stated. A staff member for CA senator Diane Feinstein had a Chinese spying working on her STAFF. You have him “blocked,” but you still can’t resist responding to him (with your trademark personal slurs), can you? LOVLWD [laughing out very loud(ly) with derision]. Indeed. Brazil and India have more potent economies and more functionally democratic governments than Russia. And I want extra moolah for some Russian Pastila desserts, too! Don’t try to skimp on the collection plate!! Hmm. One abortion for every two live births. As opposed to New York City, where in 2012, there were more black babies killed by abortion (31,328) than were born there (24,758). Yeah, let’s focus on Russian abortions instead of the USA. I’m waiting for black people to figure out that forcing women to breed against their will is wrong. You’d think it’d be obvious. I’m the only born-from-above, fired-up and die-hard follower of THE Christ Jesus of the gospels, epistles and revelation, around here and elsewhere, who fights for the equal rights of LGBT in society; but never for their in-church beliefs and praxis. Once the church leaves that church, however, effectively giving it up to the LGBT movement, I’ll stop. Remember this article to remember how bad a writer Jack Jenkins is when it comes to simple facts: “Liberty University is no longer the largest Christian university”, April 27, 2018. Do you agree or disagree with Margaret Sanger’s contention that some humans are just “human weeds”, to be (for lack of a better phrase) mowed down for the betterment of society? Your fellow racist Margaret Sanger also opposed black women (to use your term) “breeding”. She founded Planned Parenthood (which I am sure you also support) in an attempt to decrease and eventually eliminate the black population. I am not responding to him at all. Is the article about that? Does that change your obvious approval of Russian infiltration of the American Right wing? To make you something other than a traitorous worm? 1. When are you going to discuss the topic? 2. Why are you such a traitorous worm in making excuses for Russian infiltration of the American right wing? It was part of the G-8. Having nuclear weapons, either the first or second largest arsenal, means disregarding it – as Obama did – is unwise. You like Chicoms, but not Russians. Deflector shields are on maximum I guess. So you clearly have nothing of value to say on the subject. Oh well. Nope. You are deflecting in support of Russian infiltration of the American Right Wing. How long have you been a traitor to our nation? No, it is not a kind of worship. If I get down on my knees and implore the Creator, who made everything out of nothing, to cure me of cancer, that is worship. If I ask you for $100,000 to get an operation for cancer, that is not worship. If I ask someone in heaven to also pray on my behalf, it is also not worship. Jesus is the only Mediator between man and God (1 Timothy 2:5), and both the Orthodox and Catholic (Latin and Eastern) believe and teach this,but this in no way means we cannot or should not ask our fellow Christians to pray with us and for us (1 Timothy 2:1-4), for “[t]he prayer of a righteous man has great power in its effects” (James 5:16). Every word in your post was about him — but you’re not “responding” to him? And I thank you for that. You, unlike certain other people I could name, get it. Read the news. Your brain apparently has lost the ability to form new memories after November 2016. So…you were responding to his presence on the thread — but not to him. That’s a perfect illustration of a distinction without a difference. I’m waiting for black people to figure out that lynching gay and trans people is wrong. You’d think it’d be obvious. You obviously do. Such is your opinion of LGBTQ+ people. You clearly don’t care about our opinions, anyway. Well China could be part of the G-8 if it were democratic. India should also be considered an economic power. My point is that beyond the nuclear weapons, Russia is an underdeveloped country with little to offer. Nobody can afford to ignore it, but it is not an entity we can do business with unless Trump is franchising he name to put on some building. The Russians have been our enemy since 1917 including WWII when we had mutual enemies. However half of Europe was lost to Germans then to Russians and simply traded Fascist rule for Stalinist rule. The was a brief time under Yeltsin that things looked up, but that was done with Putin. Obama did not ignore Russia. Stop watching Faux News. And their god obviously doesn’t exist. No, Bob Jose Arnzen Carioca. You’ve been caught in your tricks. It is your side that is putting forth the bulk of the whataboutism, and your statements are false as usual. What’s the campaign manager charged with? That’s one vote for “screw Russia”. The first notice Obama took of Russia was when it absorbed Crimea and a portion of Eastern Ukraine, which caught him and his “intelligence” team unprepared. His response was his usual ineffective rhetoric followed by again dropping his guard while the Russians hacked his own party’s apparatus. No, the Russians are not infiltrating any American factions. No point in getting riddled with holes at the waterline, eh? Are you a Russian agent? Obama did more then the European Union which should have stepped in heavily in support of Ukraine. Obama was trying diplomacy which is a foreign concept to most right wingers. Obama did nada for anyone in Eastern Europe, or Syria either. As the invasion of Georgia, the annexation of the Crimean, and the laughing at Obama’s “red line” demonstrated, power talks and diplomacy walks. No. I want to hear what the charges are from you. Let’s see if you really understand what’s going on. I notice Charlotte avoided answering your question (see below). Should we then take it that she agrees with Sanger, and that you and I are on her “human weeds” list, to be mowed down for the betterment of society? Are you a warmonger? How many more wars do you want? Americans will not even raise the taxes to pay for these out of control wars currently under way. We are bogged down in two wars with no real end in sight that are just plain unwinnable because of the politics of those countries. . In Russia state sponsored goons beat up and sometimes kill uppity gay people with the government’s blessing. Certain American Christian fundamentalist anti gay activists admire that and cheer Putin’s leadership for putting the hammer down on gay rights. There’s also a “its just white people helping other white people” aspect. Your trolling is duly noted. You only came here to deflect from the apparent infiltration of the American Right Wing by Russia. Maybe they don’t want your self-righteous cultural imperialism imposing your western values – which they believe to be corrupt – on their own native culture. But a nice -though not unexpected – flourish in playing the race card at the end. See. You can’t have a conversation without your talking points. Manafort is charged with fraud and tax evasion. Nothing to do with either trump or Russia. But you don’t care about facts. Be careful what you wish for. What “floats my boat” would be a tsunami for you. The person who has done nothing but ignore and deflect does not get to criticize others for allegedly using talking points. Manafort works for whom? Why would the Trump Campaign have needed a person who consistently and clearly obviously commits fraud and tax evasion? Notice how this scandal has gone beyond mere accusations and conspiracy theories and well into court action, witnesses and sworn testimony. BTW your entire argument amounts to an endorsement of Russian infiltration of the American Right Wing. The court case proves nothing against trump; which you incorrectly continue to connect to Russia. The CIA/FBI already said there was n collusion. How about an illegitimate investigation based upon a dossier paid for by Clinton and fed to the fbi and media? Now that’s collusion. We’ll see what turns up with Russia. I’m more concerned with Feinstein and her China connection. Again, let’s start at the beginning – what is the concern about “infiltration” of the NRA. The Romans had a maxim, “Si vis pacem, para bellum”, which translates as “If you want peace, prepare for war”. If you don’t, you become the 98 pound weakling at the beach that bullies kick sand in the face of, as Obama demonstrated with Russia and Syria. We can leave the two “wars” anytime. Of course, we won’t have any allies afterwards. BULLSHI​T from Bob Arnzen as usual! Anti-gay was wrong 3000 years ago, and it’s still wrong now. Bob Jose Arnzen, stop being such a bigoted jerk. Oh, how soon you and your friends forget. Who are you, and why are you butting into my conversation with someone else — which has already been over and done with for 24 hours? But why was the summit rescheduled? 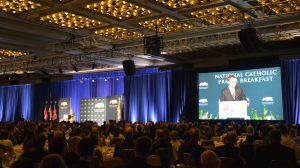 See https://www.getreligion.org/getreligion/2018/8/8/when-it-comes-to-the-russians-the-national-prayer-breakfast-is-a-convenient-whipping-boy for more balanced, insightful, and nuanced article. Full disclosure: I didn’t vote for Trump, and I am not a particular supporter of either Franklin Graham or Vladimir Putin, but I think it is good for world peace and religious freedom if they all talk with each other at frequent intervals and even meet face to face without being demonized for so doing. We left Vietnam and now the Vietnamese are coming back to us as a counter weight against China. Nobody cares about Iraq except big oil and a buffer for Saudi Arabia against Iran. Afghanistan is of little consequence to anyone as long as the Taliban cannot harbor international terrorists. Constant wars drained the Roman Empire. These neo-colonial wars in the Middle East will bring down any empire or superpower eventually. We should not be doing the dirty work of Saudi Arabia and Israel. The Soviet Union could not afford the military to keep it’s Eastern Europe satellites and the ethnic diverse republics within the USSR borders. Same issue with the British Empire. Most of what passes for allies are more parasites then business partners. We are losing the Turks because we thought the Kurds should have their own homeland or autonomy.. The Turks may come back when the Russians try to meet their centuries long goal and liberate Constantinople. We are not going to start a war with Russia and Syria while difficult to watch would have been a total disaster with so many compete factions. REVERSE RACISM from our “dark-complected” friend, no? The constant wars that drained Rome were internal. The external wars strengthened the Empire. Here we go again, a member of the (((tribe))) starts ranting about the “Russian infiltration of the American Right Wing” while forgetting to mention the well documented Israeli infiltration of the American Right Wing (and the entire US Congress) by Zionist lobbies like AIPAC, and Jewish billionaires with ties to Israel like Sheldon Adelson, Haim Saban, etc. FACT: Russia runs neither the US Congress, nor the Trump administration, THE ISRAELI GOVERNMENT DOES (via Zionist lobbies like AIPAC)! The reason you are ignoring the ZIONIST Israeli elephant in the room is because you are a member of the (((tribe))). Israel trying to remove Iranian influence near its borders through diplomatic wrangling! Gasp, Surprise! Shock! Not really. You are pointing to Israel and Iran not getting along. That hasn’t been news since 1979. Neo-Nazi BS artists have been trying to make a deal about the USS Liberty for decades. Evidence and facts are not their strong suit. (for the best example see http://www.hdot.org). You butted into my conversation with someone else. So…you & “Bob Cariozen” are one and the same? It doesn’t bother you that Russians are interfering with the electoral process, that Trump is an adulterer and a liar, and that he is the most anti-life president ever. Thank you for admitting that you support immorality and hate the United States. I’ve checked the facts. Trump is a lying, immoral, racist piece of shite that is supported by people like him. We interfered with the Ukrainian electoral process. John Brennan said it was no big deal. The Obama Administration stood down. The DNC took zero actions to protect their website. But NOW you think it’s a “big deal”. Voting for Keith Elision in MN? Raising money for the peter strzok defense fund? Crying because the leaker Brennan’s security clearance was revoked? Helping Andrew Cuomo explain why America was never great? Put the hate away and look at the facts man…. Did you read the wall st journal today? Bruce ohr is in some deep trouble…..
Trumps no saint my friend, but neither are those that you support. I picked this very old comment to be sure no one else reads it. You may note that I sound a lot like Bob Arnzen. who responded personally to Mark Silk and told him what he thought of the ban. Nice. I thought you were taking a break for a while. Good to see you back. I could go into how MS is confused on who the haters really are; but I’d be preaching to the choir. I’ve debated just ending this commenting thing, but feel I need to defend the faith. That being said, we just speak to the same atheists and church haters. Anyway, glad you’re back. Your knowledge and thoughts are impressive. Please to read your work. Mark Silk does NOT like to be told he’s wrong, especially when he is and it can be proven. He should cease commenting on matters Catholic altogether. He deserves what he is going to get. He certainly let the dogs loose by banning who he did. The pages are crawling with anti-Christian hate. They are falling all over themselves telling everyone how “it wasn’t me”. Reminds me of my kids. It was a huge fit of pique. Despite his doctorate he is clearly not the brightest bulb in the package.